Who enrolled in Amver in the past week? Just take a look. 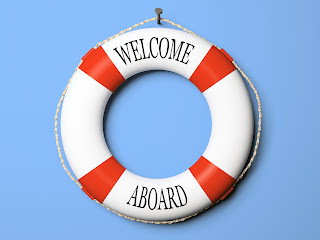 We list the latest ships to join the Amver safety network every Wednesday. You could see your vessel listed here. Enrolling is easy, and can be completed on the ship or through your operations or technical department on shore. Once you enroll you can begin reporting immediately. You never know, your ship might be called on to assist as soon as you sign up! Now, help us welcome the latest Amver participants. The Amver participating cruise ship Disney Wonder did it again! On Tuesday, April 16, 2013 the crew of the ship spotted a 13 foot wooden raft approximately 42 miles south of Key West, FL. 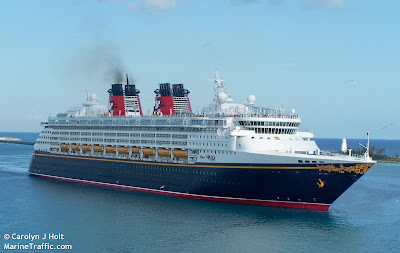 The Disney Wonder launched their small boat and rescued the five from the raft bringing them aboard the cruise ship. Winds were 18 knots and waves greater than 4 feet when the cruise ship launched its small boat to check for any medical concerns and embark the migrants. The cruise ship later transferred the migrants to a U.S. Coast Guard cutter. Less than a week ago the Disney Wonder located a raft off the Cuban coast and rescued 8 Cuban migrants. This rescue brings the total number of migrants rescued by Disney Cruise Lines to 13. The Bahamian flagged cruise ship enrolled in the Amver system on July 20, 1999 and will receive its 14th Amver participation award at an upcoming National Maritime Day celebration in Washington, DC. Numbers. The number of days at sea. The number of voyages. The number of years a crew member has been at sea. The number of days until you return home. All those number are important, as the our own Amver numbers. This week the number is 14. 14 more ships have enrolled in the Amver system, available to save lives like these. Help us make them feel welcome. 101 years ago Titanic sank after striking an iceberg sending 1,502 people to their death. Today the Amver system operates to ensure such tragedy doesn't repeat itself, with over 5,000 commercial ships available to rescue those in distress at sea on any day. These ships coordinate their position with the United States Coast Guard to ensure the best ship is diverted during a maritime emergency. The photo below is from the Ida and Isador Straus memorial in New York City. Ida and Isador Straus were passengers on Titanic who refused to separate, choosing instead to perish together in the icy Atlantic waters. It is one of the most touching Titanic related memorials in New York. Your vessel could be the next one to make a difference, save a life, ensure no call for help goes unanswered. If you're not enrolled in Amver, please consider joining. The crew of the Desert Hope helps survivors aboard. Three different Amver rescues unfolded in the Caribbean this weekend resulting in 27 lives saved. The cruise ships Disney Wonder and Carnival Conquest rescued a combined 21 Cuban migrants from disabled boats while the bulk ship Desert Hope rescued 6 people from another disabled boat. The first case on Friday, April 11, 2013 involved 8 Cuban migrants in a rustic 15 foot boat dead in the water approximately 8 miles north of Mariel Harbor, Cuba. 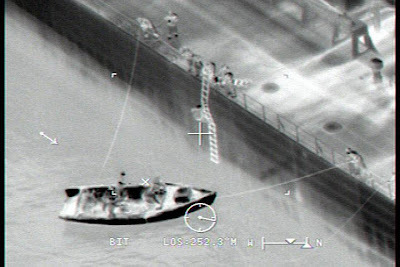 A U.S. Customs and Border Protection aircraft located the boat and helped the cruise ship Disney Wonder find the location and embark the 8 survivors. The Disney Wonder enrolled in the Amver system on July 26, 1999. The Bahamian flagged cruise ship will receive its 14th Amver participation award at a ceremony in Washington, DC next month. The second case unfolded the following day when the Carnival Conquest located a group of people on a disabled raft waving a white flag approximately 30 miles southwest of Marquesas Key. The cruise ship embarked 13 survivors and coordinated with the Coast Guard to rendezvous with the Coast Guard Cutter Confidence to transfer the migrants. Carnival Conquest enrolled in the Amver system on October 28, 2002. The Panamanian flagged cruise ship will receive its 7th Amver participation award at a ceremony in Washington, DC next month. The final case involved a search for a disabled rustic boat in the vicinity of Monte Cristi, Dominican Republic. The Amver participating ship Desert Hope was also diverted to assist and found the vessel. While maneuvering to perform a rescue of the survivors, the crew lowered a ladder. Six survivors were taken aboard the Marshall Island flagged ship in good health. The Desert Hope enrolled in the Amver system on September 16, 2011. The ship, managed by Atlantic Bulk Carriers Management of Athens, Greece, will receive its first Amver participation award this fall at a ceremony sponsored by the Propeller Club, Port of Piraeus. Earlier this week we shared the story of four Atlantic rowers rescued by the Amver participating auto carrier Heijin. Their 29 foot sailboat capsizing approximately 380 miles north of Puerto Rico on Saturday, April 6, 2013. The actions of these brave crewmen of the Heijin are celebrated, especially as we remember the upcoming anniversary of the sinking of Titanic. Your vessel can be part of this amazing program. Simply enroll today, and begin sending us your vessel position reports. What a week! The Amver system reached a new milestone. The number of vessels reporting each day reached an all time high of 5, 532 ships. Thank you for helping us achieve this remarkable goal. How did you do it? By continuing to enroll your vessels. 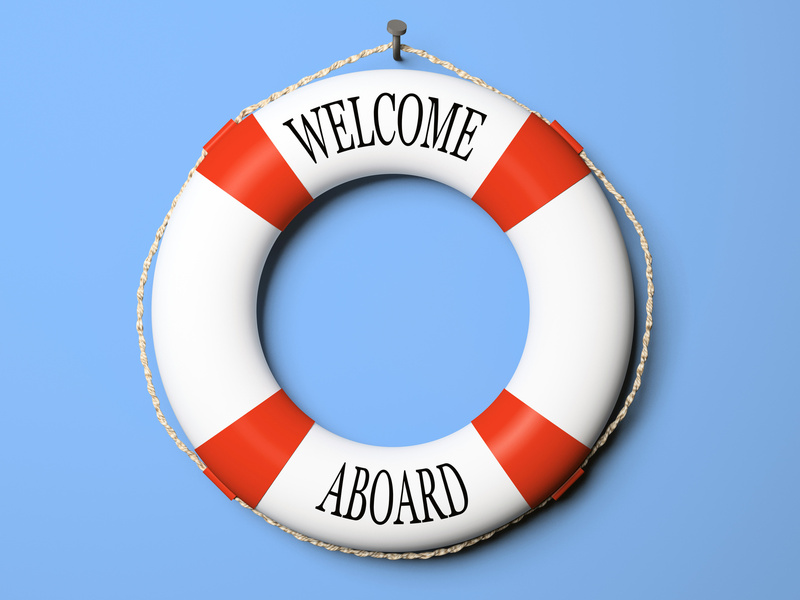 Here are the latest ships to join the Amver network, and help us promote safety at sea. 4 Atlantic rowers were rescued by an Amver ship from their capsized rowboat 380 miles north of Puerto Rico on Saturday April 6, 2013. The rowers, two Americans and 2 Canadians, were 73 days into an expedition rowing a 29 foot boat, the James Robert Hanssen, from Senegal to Miami to raise awareness for the Canadian Wildlife Foundation. The boat capsized after being stuck by a large wave forcing the crew to climb into their emergency life raft and activate their Emergency Position Indicating Radio Beacon (EPIRB). U.S. Coast Guard rescue authorities in San Juan were alerted to the distress early Saturday morning and sent a Coast Guard HC-144 Ocean Sentry rescue aircraft and a C-130 rescue aircraft to search for the rowers. Rescue authorities also used the Amver system to find the 800 foot automobile carrier Heijin to divert and assist in the rescue. Another Amver participant, the Russian product tanker Tanais Leader was also diverted but was released from the rescue effort. 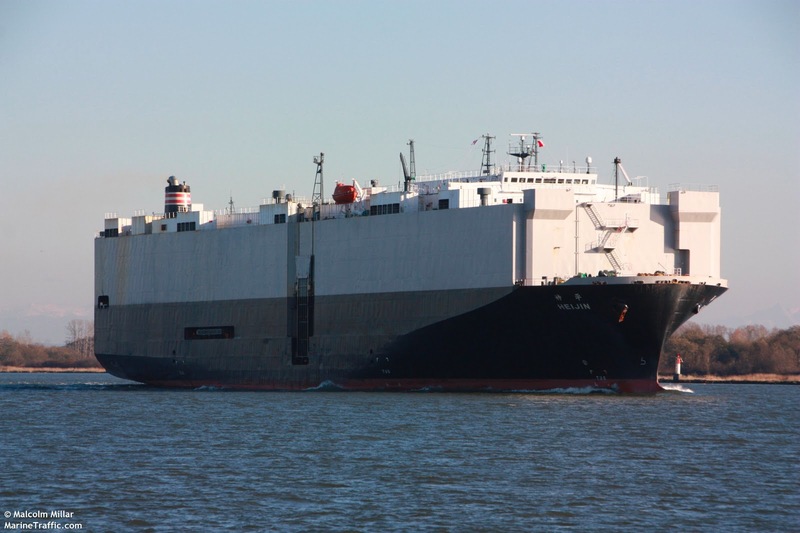 The Panamanian flagged car carrier was sailing from Newark to San Juan and was only 170 miles from the row boat when the captain agreed to assist and help. The captain was able to locate the life raft and safely embark the four survivors. "We are giving them food and water, if they need medical attention we have the facility to do so," stated the captain of the Heijin. The uninjured survivors were taken to Puerto Rico and met by U.S. Coast Guard and Customs officials who brought them ashore. The Heijin, managed by NYK Shipmanagement Pte of Singapore, enrolled in the Amver system on January 1, 1990. The Tanais Leader, managed by Rosshipcom Marine of Cyprus, enrolled in the Amver system on January 1, 1988. The Amver participating tanker Alpine Marie came to the rescue of the Atlantik Confidence, another Amver enrollee, after it caught fire and sank off the coast of Oman. According to a report in Tradewinds, the Liberian flagged Atlantik Confidence suffered an explosion in the engine room which resulted in a hull breach. The crew was not able to extinguish the fire and the captain ordered them to abandon ship. The Panamanian flagged tanker Alpine Marie rescued the crew and transferred them to another tanker, the YM Pluto. The U.S. Navy Maritime Liaison Office in Bahrain reported the Atlantik Confidence sank. The Alpine Marie enrolled in Amver on September 8, 2010. The Atlantik Confidence enrolled in Amver on January 19, 1996. There were no reports of any pollution and the crew was reported to be safe. Take a look at what ships enrolled in Amver in the past week. It would be an interesting comparison to see the total number of new builds coming from the various shipyards versus the number of Amver ships enrolling. Maybe we should begin marketing to shipyards! In the meantime please help us welcome the latest members of the Amver team! What better way to show the top ten Amver Award winning countries than with an infographic! If your ship isn't earning Amver Awards it might be because you aren't enrolled. If you are enrolled make sure you report according to our User's Manual to ensure your reports are counted.